Marianna has been involved as an advisor in various litigation cases. She spent several years taking cases in various areas of law. She has represented many Greeks living abroad (Omogenia) on their legal matters in Greece, especially in property and inheritance issues. In addition she has an extensive experience in family and divorce law practice and she has been involved in divorce cases with public interest. She also advises our firm regarding issues of various industries (e.g. 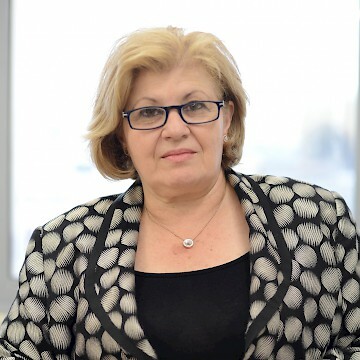 banking, construction, foods and beverages, advertising) on civil and corporate matters, commercial agreements and dispute resolution and she works with all sizes of companies from start-ups to large multi-national corporations. She is able to advise on all of a company’s corporate requirements; from start-up funding, structuring, joint ventures, mergers and acquisitions through to floats and takeovers. She has been a member of the Athens Bar Association and the Greek Society of Administrative Law.